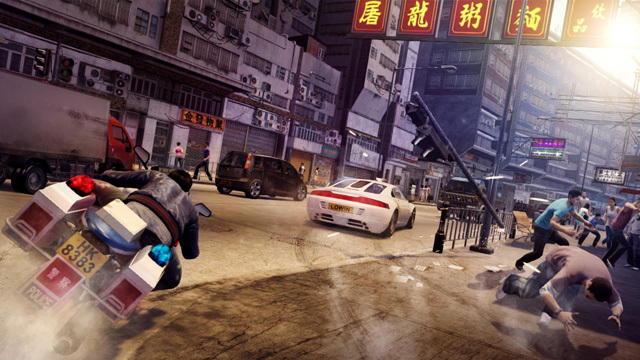 Square Enix has announced that True Crime: Hong Kong has been renamed to Sleeping Dogs. It is set in Hong Kong and you play as an Asian protagonist. You are an undercover cop here, tasked with dismantling the Hong Kong Triads. “From the moment you pick up the controller and experience the blend of driving, close combat and shooting you know you’re playing something fresh and a bit special,” said Lee Singleton, general manager of Square Enix London Studios. “Working on Sleeping Dogs has been such a huge passion for the team at United Front Games and we’re really pleased to be working with Square Enix London Studios,” said Stephen Van Der Mescht, executive producer at United Front Games. The game will be released this year for the PC, PS3 and Xbox 360.